GATINEAU, Quebec, Oct. 25, 2018 (GLOBE NEWSWIRE) — HEXO Corp. (“HEXO” or the “Company”) (TSX:HEXO) has been awarded the ‘Champion’ award at the second annual Quebec Employment Creators Awards for its contributions to job creation in the province. The Company previously won the ‘Coup de Coeur’ award at the inaugural Quebec Employment Creators Awards last year. 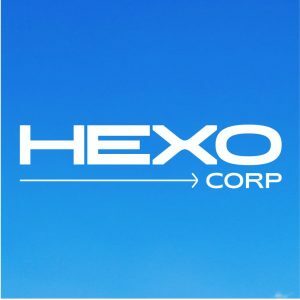 In the 2017 contest period, HEXO created 60 permanent full-time positions ranging from entry-level to executive as part of the Company’s ongoing expansion. The number is up from the 23 jobs created by HEXO in 2016. HEXO estimates that it will create an additional 200 jobs by the end of 2018 and has plans to maintain its phenomenal growth rate in 2019. Andrée St-Cyr, Director of Human Resources, accepted the award on behalf of HEXO during a gala presentation at the Quebec City Convention Centre, accompanied by Terry Lake, Vice-President of Corporate Social Responsibility, Pierre Killeen, Vice-President of Government Relations, and several members of the HEXO Human Resources team. The awards are given out annually to honour major job creators in Quebec and its 17 administrative regions. The awards highlight exemplary efforts made by companies in job creation, as well as their contribution to innovation, strategy and impact in sustainable jobs development within their province. HEXO also recently received awards in four categories of BotaniQ’s Power 10 of the Canadian Cannabis Industry Awards. Award-winners included CEO and co-founder Sebastien St-Louis in the ‘Founder’ category, CBO and co-founder Adam Miron in the ‘Innovator’ category, Master Grower Agnes Kwasniewska in the ‘Cultivator’ category, and Vice-President of Corporate Social Responsibility Terry Lake in the ‘Influencer’ category.